Some years ago Android conquered the low end of the market, but now it's getting pushed out or at least phones from well-known brands are. New brands have emerged that offer relatively high specs on a tight budget. Also, the Under €100 category has the biggest diversity of OSes. The Alcatel Fire E comes as living proof, it's a Firefox OS phone. We found it at just over €50 for which you get a 4.5" IPS screen with 540 x 960px resolution, a 5MP camera with 1080p video capture and a dual-core 1.2GHz processor. The 1080p video is by far the most impressive, but the next FullHD shooter on the list is double the price. We know better to blindly trust specs, but the competition in this price range averages 5MP/480p. The Fire E also brings a VGA selfie camera and an LED flash, which are not a given on device in this price range. The IPS screen should offer better viewing angles than basic TFTs too, so keep an eye out for it. The 512MB RAM and 4GB of storage won't have you confusing this for a mid-ranger, but Firefox OS has been designed to support even less RAM. Mozilla's platform looks like a viable option if you're on a budget and value open software. Coming close to the psychological limit of €50, the Acer Liquid Z200 is a compact Android 4.4 KitKat phone a 4" 480 x 800px screen. The dual-core CPU should keep things snappy though 512MB RAM limits multitasking capabilities. Also, the 2MP camera is rather basic. A phone like the Liquid Z200 may not be very impressive but it gets your foot in the door to mobile Internet and a wide selection of great Android apps. You can also have this phone in a dual-SIM configuration, available as the Liquid Z200 Duo. Getting a phone for €50 sounds great if you're on a very tight budget or just need a backup phone, but you'll have to live with a number of compromises. Some of those can be removed for an extra bill, so we'd recommend against sticking to arbitrary price caps and shopping by features instead. The Samsung Galaxy Ace Style also has a 4" 480 x 800px screen and runs Android 4.4 KitKat on a dual-core processor with the less-than-ideal 512MB RAM. The upshot is a 5MP/720p camera on the back and a basic selfie camera. The Ace Style has an LTE-enabled version too, if you need it and most importantly, can afford it as some carriers are charging a premium on your monthly bill for accessing their LTE network. If you're in the mood for trying something new, another Samsung phone brings the third OS so far. 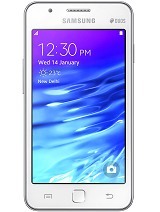 The Samsung Z1 runs Tizen OS on a dual-core processor with slightly more RAM (768MB). The camera isn’t as good as on the Ace Style though the Z1 is a dual-SIM phone, a fair trade if you find yourself making calls more often than taking photos. While technically a new platform like Firefox OS, Tizen supplements its own app selection with Android apps. Compatibility may be an issue though, it was certainly a problem with BlackBerry's Android support. 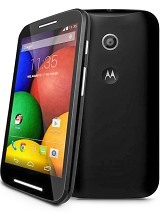 The first-gen Motorola Moto E is fairly cheap, especially if you catch it on a sale. It already received the Android 5.1 Lollipop update and it has 1GB of RAM for better multitasking. The 4.3" 540 x 960px screen provides a break from the 4-inchers and it's guarded by Gorilla Glass 3. The 5MP/480p camera is decent but image quality is far from stellar, Samsung makes much better 5MP cameras. It's not the most compact 4.3" device either, but it has a relatively large 1,980mAh battery. You can get the dual-SIM version of the Moto E if you want better management of your mobile plan. The Microsoft Lumia 532 brings the fourth OS to the party. We considered some cheaper Windows Phone handsets, but we skipped the Lumia 435 because of its dual-core processor and the Lumia 530 due to its limited memory. The Lumia 532 is €10-€15 pricier than them, we think it's worth it though. For the same price as the Moto E, you get double the CPU cores and double the internal storage (8GB), more RAM than most of the droids so far too. Also note that this is the Lumia 532 Dual SIM as the single-SIM is not meaningfully cheaper. The update to Windows 10 is guaranteed and you'll get the full set of features the new OS will bring, thanks to the 1 gig of RAM. 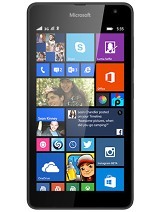 If you want a bigger screen, the Microsoft Lumia 535 is a fine choice. It has a 5" IPS LCD with roughly the same pixel density as the Lumia 532, but with added Gorilla Glass 3. There's also a surprisingly capable 5MP selfie camera to the mix. We considered the Lumia 630, which is the middle ground between the 532 and 535 in terms of both price and screen size (4.5"). Its advantages include 720p video capture and but better quality screen (albeit smaller), though the full gig of RAM and the selfie camera swung our favor towards the Lumia 535. 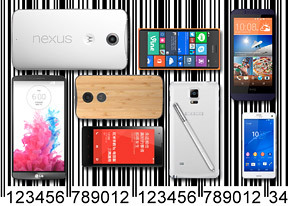 A popular sub-category of phones snips the link between screen size and resolution. Resolution ups the price tag and while it makes things look better, from a practical standpoint reading on a bigger screen is just easier. The Lumia 535 is part of that movement, but it extends to 6+ inch screens. Other phones promise the best of both worlds, the likes of the Lenovo A6000. It has a 5" IPS screen with 720p resolution, which pushes it over the requirement for Retina. You also get a quad-core Cortex-A53 processor. It can't spread its 64-bit wings on Android 4.4 KitKat, at least it should be slightly faster than A7-based competitors. The A6000 is also one of the most affordable LTE phones and it has two SIM slots to boot (only one can be used for LTE though). The 8MP camera offers the best still resolution in this price range too. 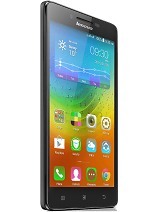 We found the availability of Lenovo A6000 units a bit spotty though, so you might need to look around for it.